If you need to quickly and easily duplicate hard drives for your backup purposes or recovery. 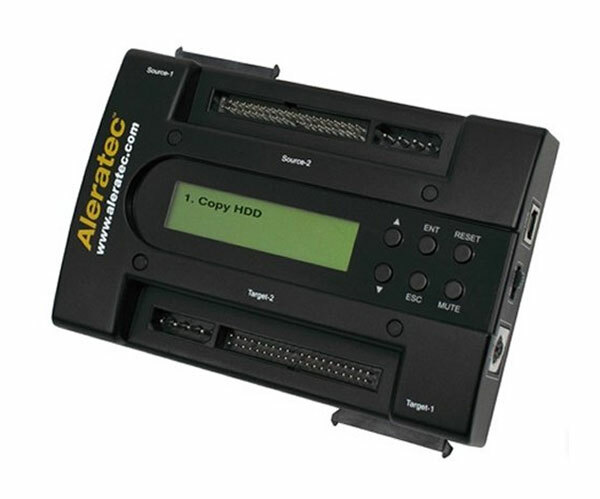 Then the Aleratec 1:1 HDD PortaCruiser portable hard drive duplicator could help. It lets you clone 2.5 inch and 3.5 inch hard drives with ease and supports both IDE and SATA I/II HARD disk drives. You can also set up access your drives via a USB 2.0 connection to your computer with RAID 0, RAID 1, JBOD Spanning or Normal disk configuration. Its compatible with Windows 2000, XP, Vista & 7 together with the support for Linux and Mac 10.3 or later.